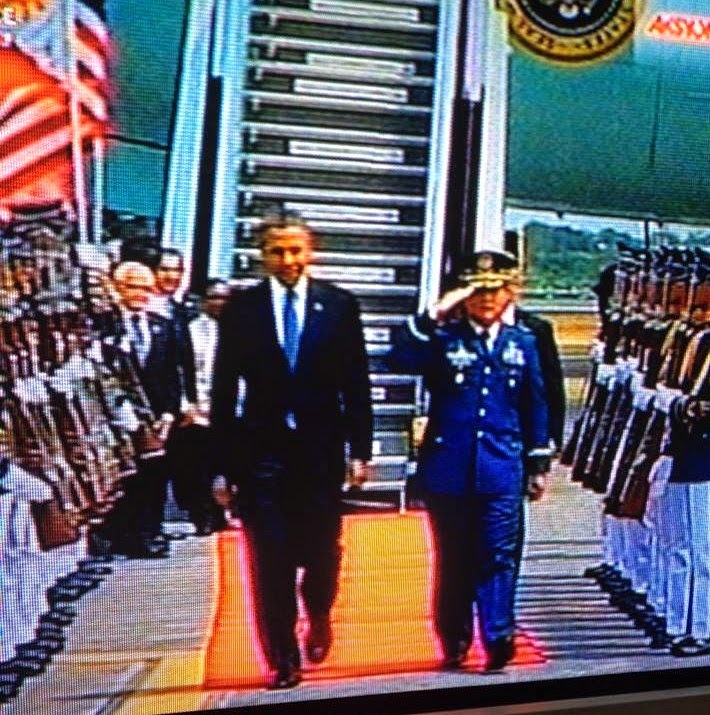 American President Barack Obama was in Manila, Philippines April 28 and 29. Philippines is the last Asian country he visited, after visiting Japan, South Korea and Malaysia this month of April on his Asian tour. It was my day off. While working on my laundry, I kept busy with the remote control of my television flipping back and forth from one television station to another. 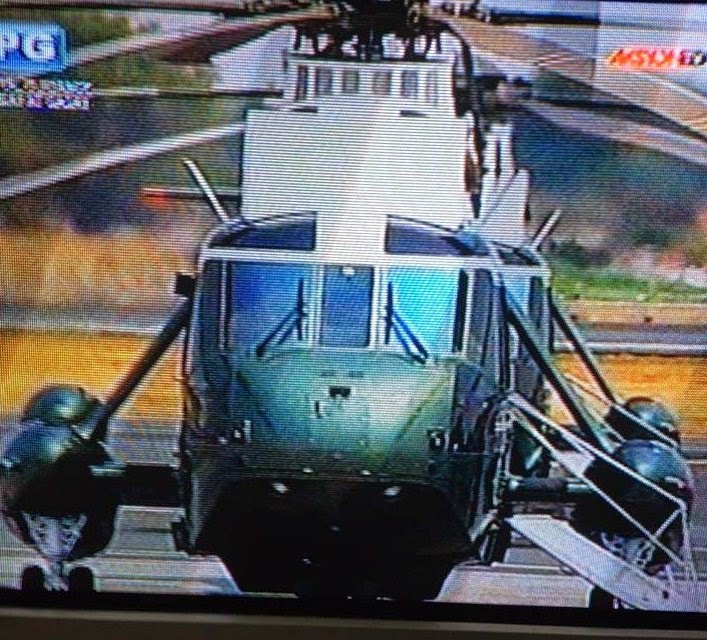 Here are some photos I took from my television using my Iphone. 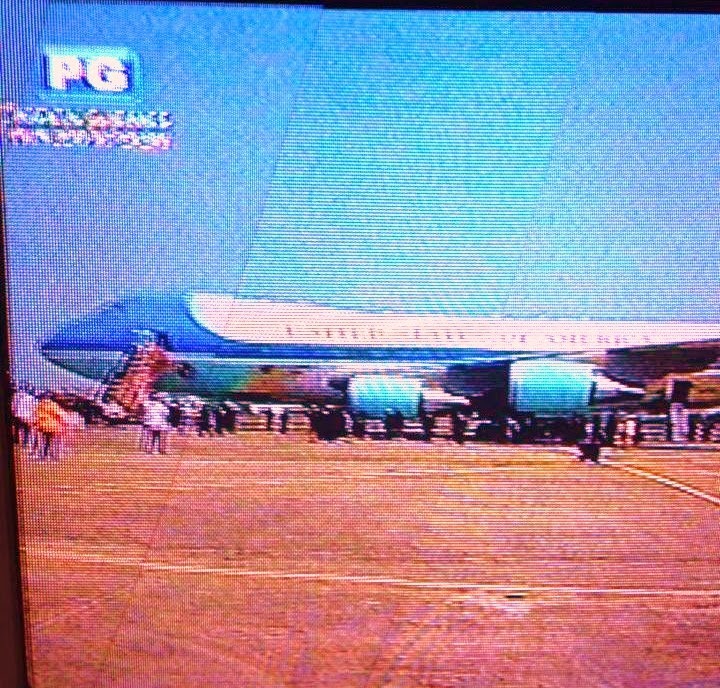 Air Force One at Philippine airport. 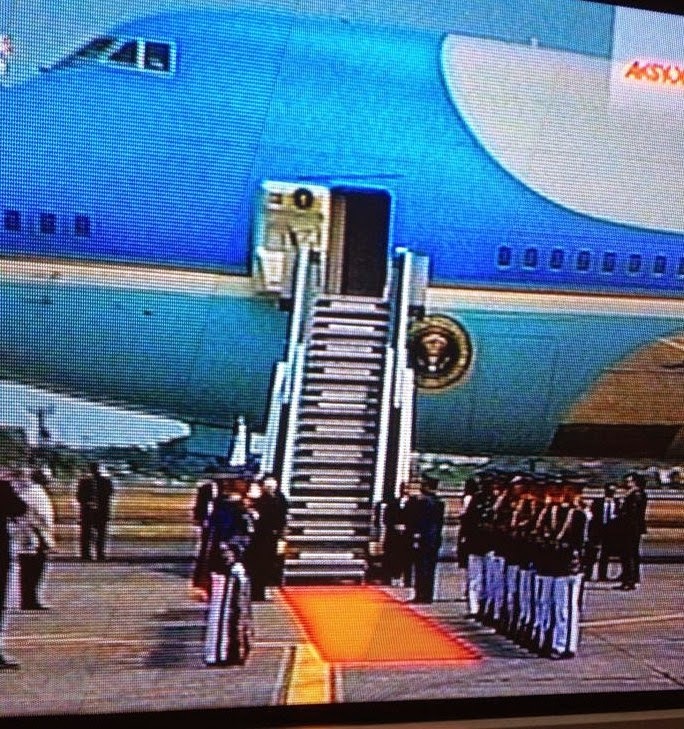 Waiting for Pres Obama to get off Air Force One. 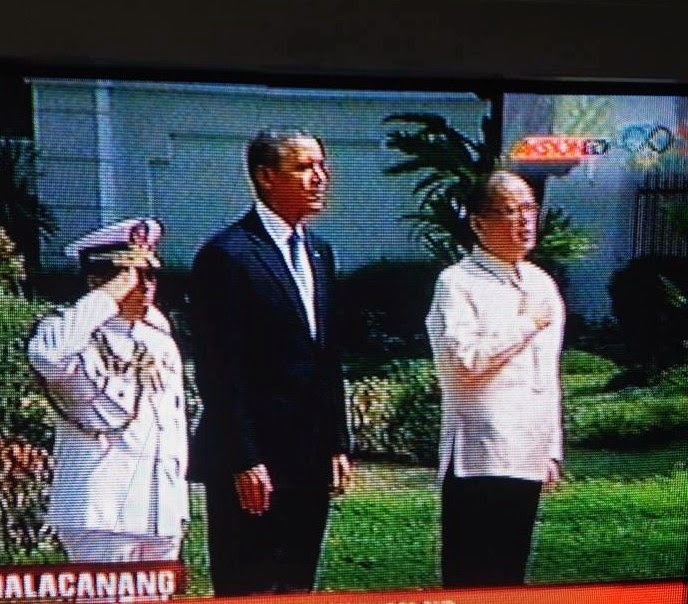 the Pres of the Philippines Benigno Aquino 111.